... 1951 (60 years ago today), the Advisory Opinion on Reservations to the Convention on the Prevention and Punishment of the Crime of Genocide was issued. The case arose out of questions that the U.N. General Assembly had posed to the International Court of Justice issued the previous November. 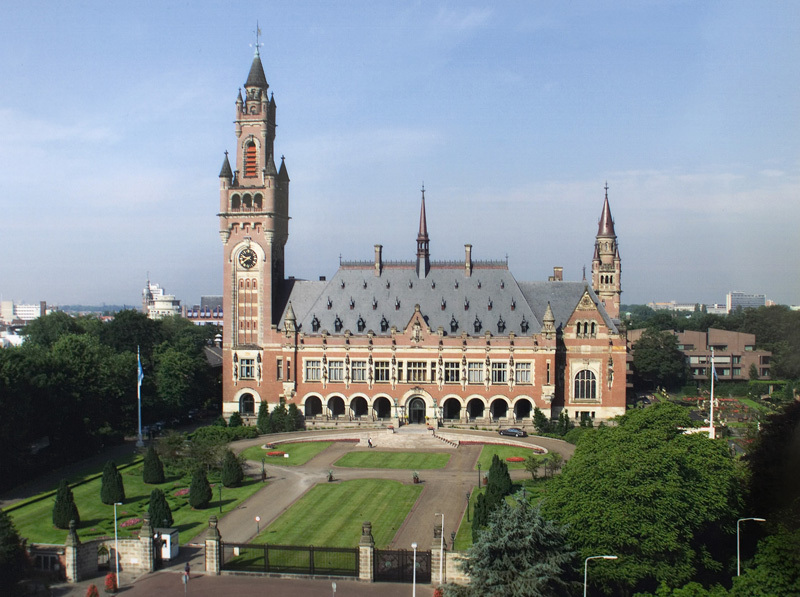 (credit for photo of Peace Palace, the ICJ's headquarters at The Hague, Netherlands) Answering those questions, the court ruled that when a state attached a reservation to its instrument of ratification or accession to a multilateral treaty, that reservation did not preclude the state's membership in the treaty regime, even if another member state objected to the reservation, as long as the reservation was compatible with the object and purpose of the treaty. Critical to the ICJ's judgment was the "humanitarian and civilising" purpose underlying the Genocide Convention -- a purpose best served by widespread state-party membership.